Sabumnim Louise Usher first experienced Martial Arts during her early collage years. She attended self-defence classes that were put on by a visiting instructor. 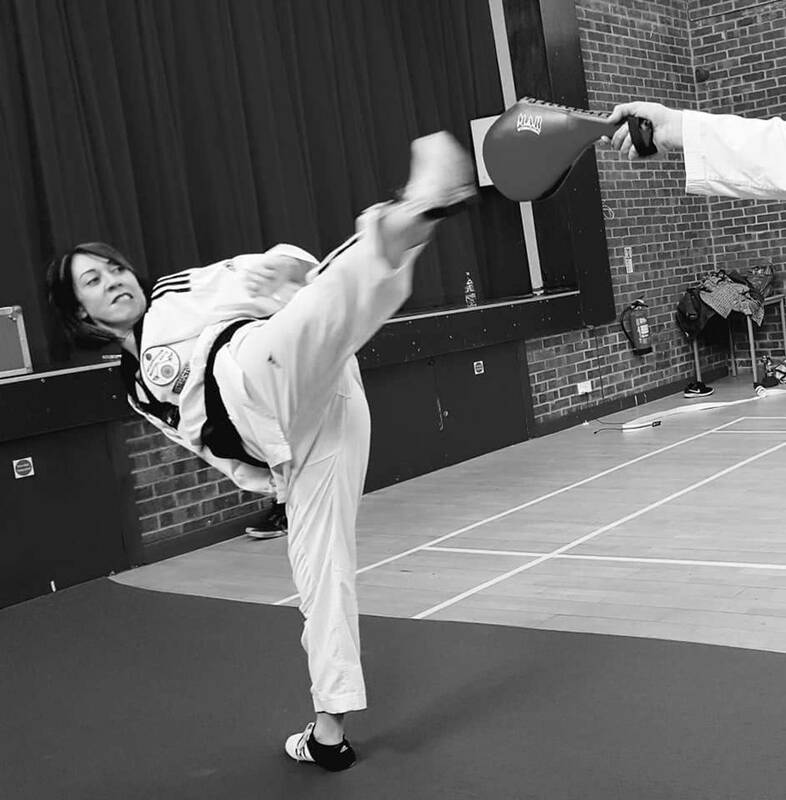 This experience planted the seed for the future as in her early twenties, now married to Master Stuart Usher she booked herself in for an introduction to taekwondo at a nearby club. Over the coming years she trained hard, showing a passion for the Taeguk patterns that are an integral part of the training. 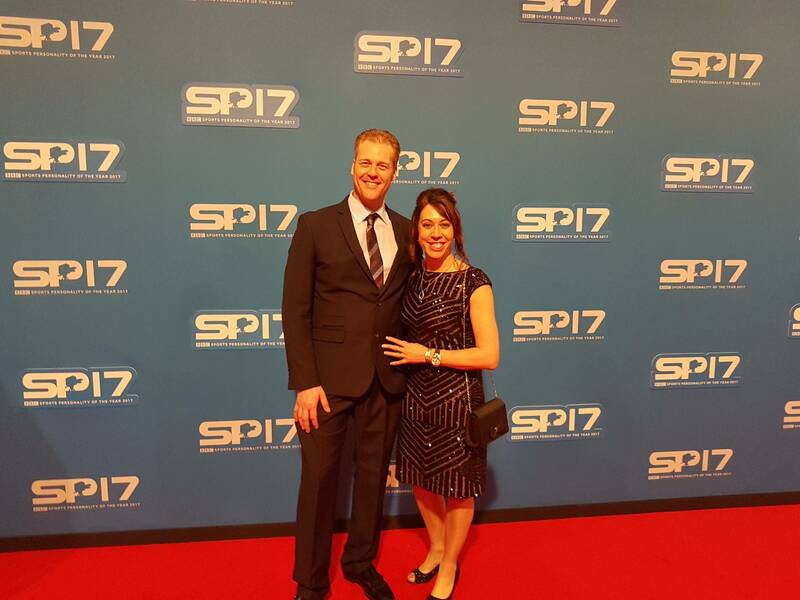 She worked her way up to Red/Black belt (1st Kup - One before Blackbelt) before taking time out to begin a family. Even though Mrs Usher wasn't training she was still involved due to her husband. Time went by and Master & Mrs Usher's first born Adam started training. 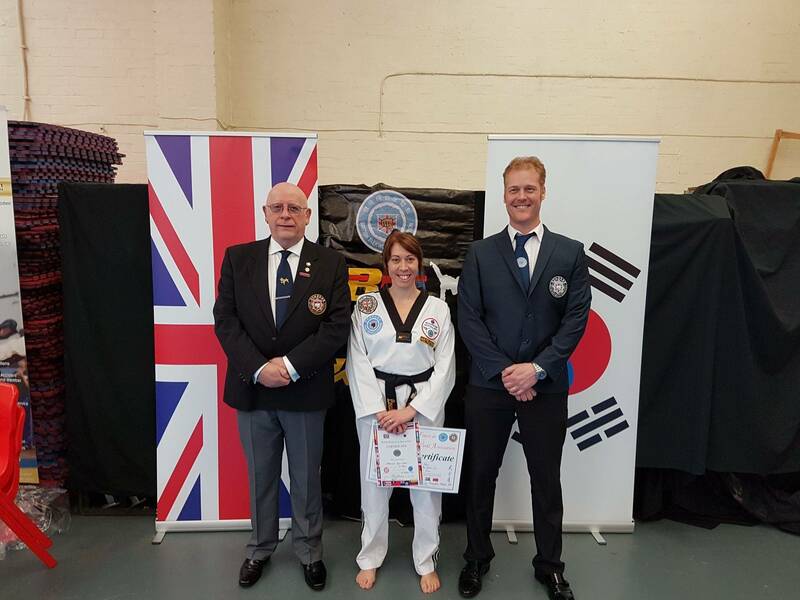 This created an opportunity for Mrs Usher to begin training again and she worked very hard towards her Blackbelt in Taekwondo. Since then Mrs Usher has continued to train and developed her instruction skills. 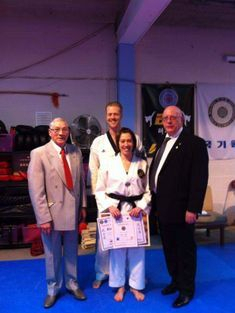 She continues to progress and is currently 3rd Dan now working towards her 4th Dan Masters. 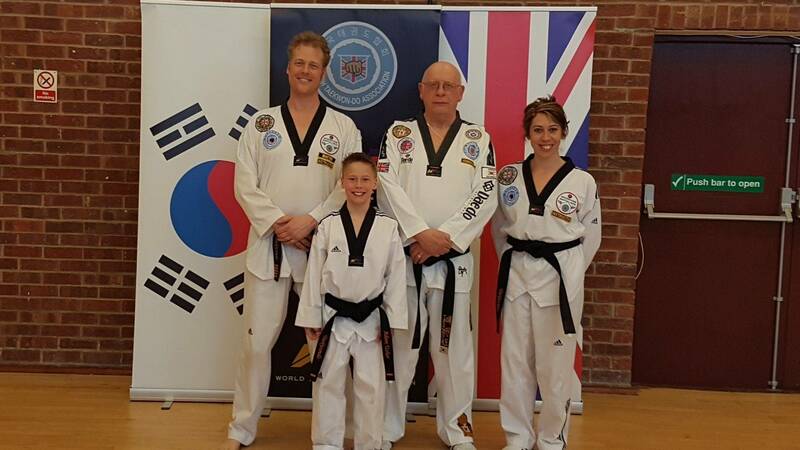 Pictured above: Sabumnim Louise Usher with B.T.A Founder & Father of British Taekwondo, GM Tony Quigly 9th Dan Blackbelt, Husband Master Stuart Usher 5th Dan Blackbelt & B.T.A President GM Roy Kilner 8th Dan Blackbelt.